Diego Rivera (Diego María De La Concepción Juan Nepomuceno Estanislao De La Rivera Y Barrientos Acosta Y Rodríguez, December 8, 1886, Guanajuato, Mexico — November 24, 1957, Mexico City, Mexico) is the Mexican artist-muralist, famous for his large-scale works in Mexico and several cities in the United States. Rivera studied painting in Mexico City, then spent more than 10 years in Paris, travelling through Europe. 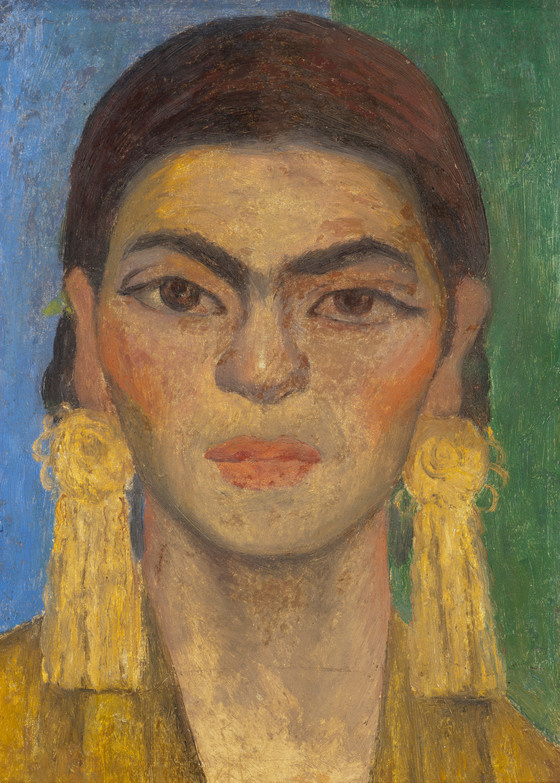 The artist was married five times, two of them were with the same woman, the Mexican artist Frida Kahlo. Creative features of the painter Diego Rivera: his frescoes are characterized by large simplified figures of people, bright colours and a noticeable influence of the Aztec culture. At the same time, Rivera preferred images of ordinary people in his country and the events of the 1910 Mexican Revolution. His Detroit works are devoted to industrialization, factory workers and mechanisms. 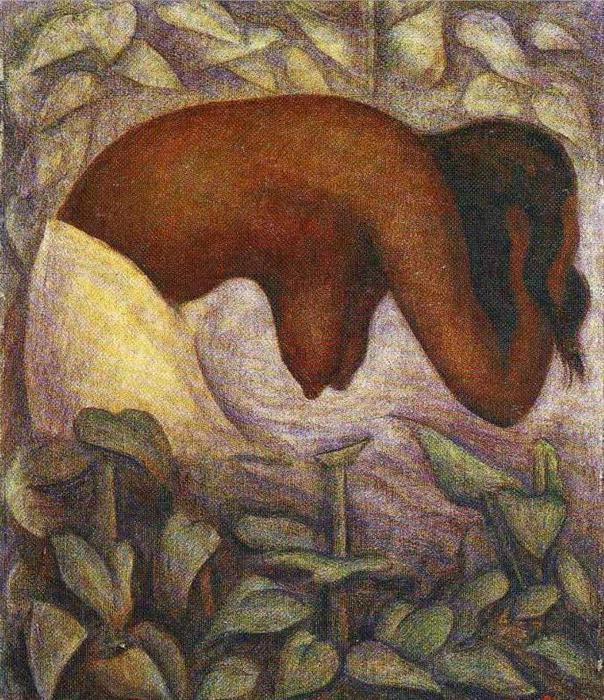 Famous works by Diego Rivera: Creation, The Arsenal, Man at the Crossroads, Detroit Industry. Diego Rivera always got what he wanted. His artistic career, world fame, the most beautiful and talented women — all this came to him as if without much effort. What’s his secret? It seems that this man had such a powerful and boundless vital energy that the universe simply had no other choice but to give him everything he wished. Otherwise he would have turned the world upside down and wouldn’t need any fulcrum to do this. In early May 1933, Diego Rivera’s name was on the first pages of all the prominent New York print media. At the building of Rockefeller Centre in Manhattan there were held rallies and demonstrations, in which the artist participated, simultaneously managing to give interviews. While some vehemently defended Rivera and called him a "fiery crusader of the paint brush", others accused him of speculating with Communist ideas and artificially creating hype in order to get famous. Although the latter accusation seems far-fetched and ridiculous. By 1933, Rivera was already one of the most famous artists not only in America but all over the world, not to mention his native Mexico. His frescoes, created in San Francisco and Detroit, were received with delight, and the artist’s solo exhibition at MoMA became his personal triumph. It is no wonder that it was Rivera whom the Rockefeller family commissioned to paint a mural on the wall in the lobby of the main building of a huge complex, which became a symbol of salvation from the Great Depression. The magnates chose the Mexican muralist, despite the fact that he competed with Pablo Picasso and Henri Matisse. In March, Rivera got down to work. His monumental multi-figure fresco with a complicated title Man at the Crossroads Looking with Hope and High Vision to the Choosing of a New and Better Future was a rather controversial work of art, even considering its initial idea. In this work, the artist clearly separated the socialist world from the capitalist one, extremely idealizing the first and demonizing the second. The scandal began to gain momentum after the publication in one of the New York newspapers, appeared under the headline "Rivera Paints Scenes of Communist Activity and John D. Jr. Foots the Bill". And immediately after that, the artist turned one of the workers depicted on the fresco in Vladimir Lenin. 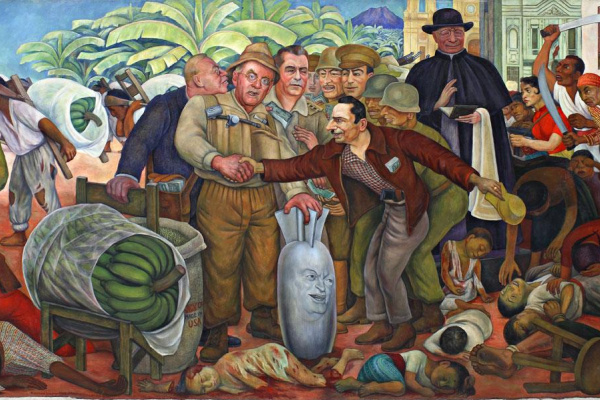 Rockefellers couldn’t tolerate this anymore: fearing possible charges of Communist propaganda, they asked Rivera to change the image, to which he responded with a categorical refusal. The artist was immediately suspended from work, and the fresco was closed with a curtain. After that, protest demonstrations began. However, neither Rivera, nor those who supported him, were able to achieve anything. In February 1934, the fresco, hidden from the audience, was destroyed. The only material evidence of its existence was a photograph, which Rivera’s assistant managed to take the day when they were thrown out of the Rockefeller Centre. When Rivera learned about the destruction of the Man at the Crossroads, he compared the former customers to the Nazis and called their actions "cultural vandalism". Later, John Rockefeller Jr. explained the destruction of the fresco as follows: "The picture was obscene and, in the judgment of Rockefeller Centre, an offense to good taste." 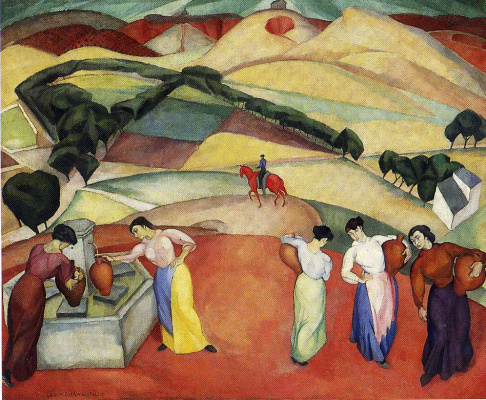 Diego Rivera was born on December 8, 1886 in the Mexican city of Guanajuato. His twin brother Carlos died at the age of two, and after that Diego seemed to live all his life for two: with double energy, double passion and love for life. Shortly after his brother’s death, Diego began to paint, and his father set up in the house a special studio room, covered with canvases, so that the boy didn’t paint on the walls and furniture, and directed his creative energy to a peaceful channel. It was there that Diego began to paint his first murals and carried this love for large-scale works through his whole life. 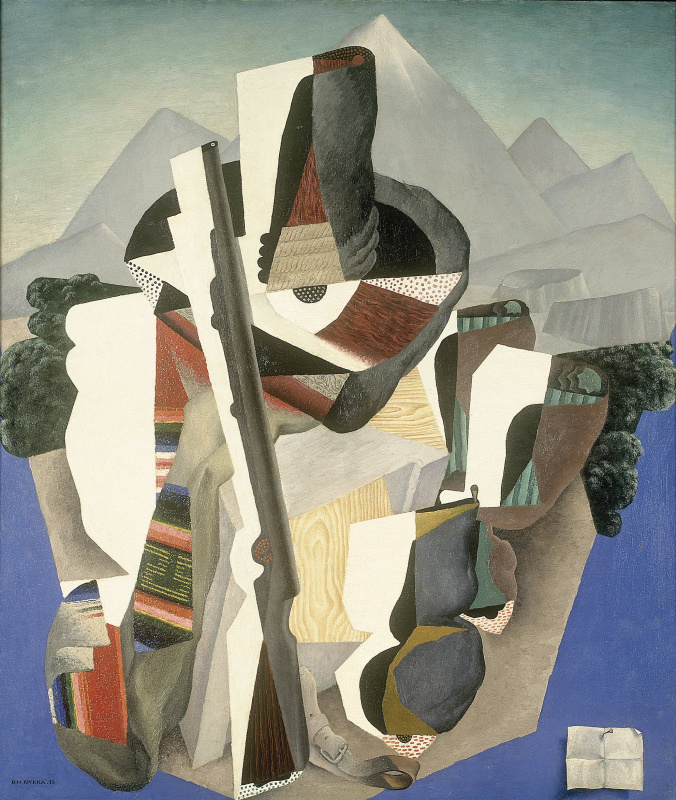 At the age of 12, Rivera began to study painting at the Academy of Fine Arts of San Carlos in Mexico City, though his father insisted that he chose a military career. After five years of training, Diego was expelled from the Academy because of participation in a student demonstration against the policy of the Mexican authorities. The young artist was not too upset and went on a trip to Mexico, taking canvases, paints and paper with him. In 1906, Rivera received a grant for a trip to Europe and headed first to Madrid, where he embraced the works of Velázquez, Goya and El Greco, and then to Paris. 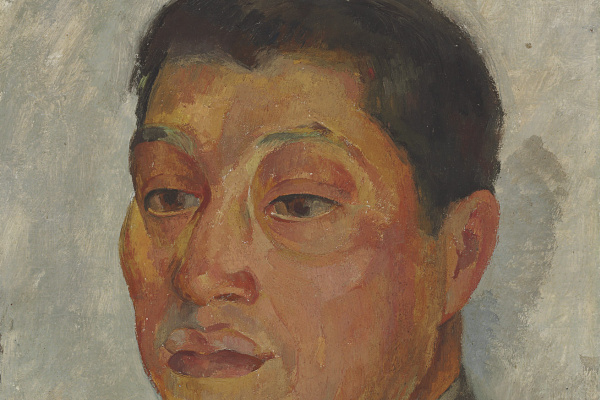 In the capital of European art Diego quickly joined the avant-garde "party" and became friends with the same young rebels — Picasso, Soutine, Modigliani and Kisling. He experimented with techniques and styles, and went to Italy to study the frescoes there. 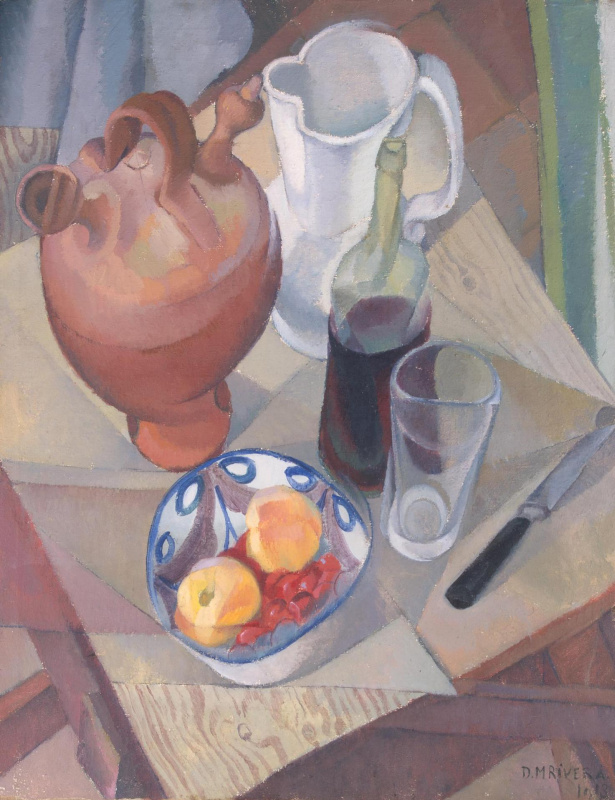 At the beginning of his life in Paris, Rivera created paintings under the influence of the Impressionist works, but soon switched to post-impressionism, and then — to cubism. 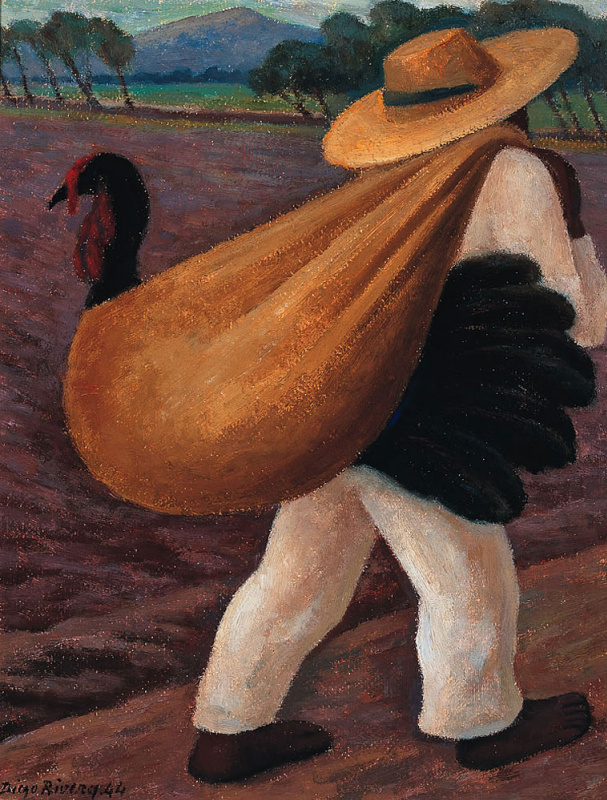 Later, his paintings and murals would be occupied by large simplified figures painted in bright colours; he would often turn to primitivism, and in the last years of his life he would even create a few surreal works. In 1921, Rivera returned to his homeland and joined the Mexican program for the creation of murals, which was funded by the government. In the winter of next year, he painted his first grandiose fresco Creation in the auditorium of the National Preparatory School in Mexico City. 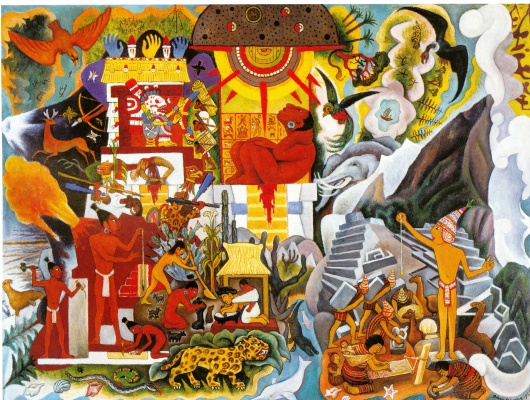 According to legend, while working on this mural Diego had to carry a gun to defend himself against the "right" students. The artist was a staunch Communist and party member, in 1927 he even came to the Soviet Union to celebrate the 10th anniversary of the October Revolution. 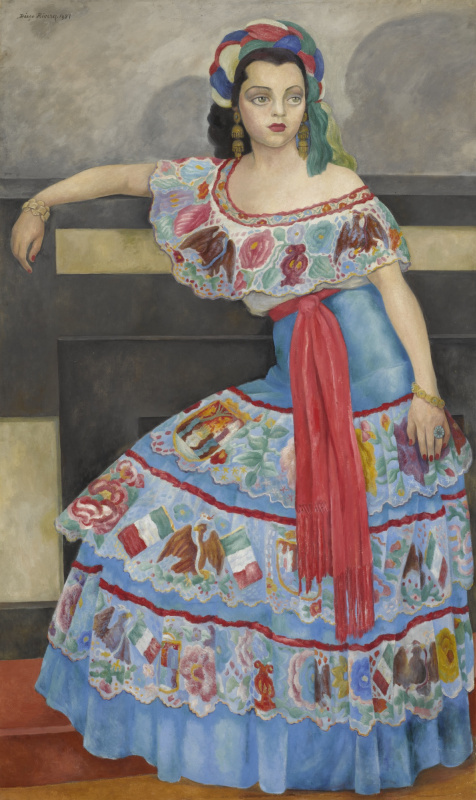 His large-scale works had unprecedented popularity, and Rivera began to receive commissions not only in Mexico but in the United States. He moved from one city to another, did his job, got rave reviews, and had inexhaustible love affairs… It would have continued this way if it hadn’t been for the Rockefeller Centre scandal. 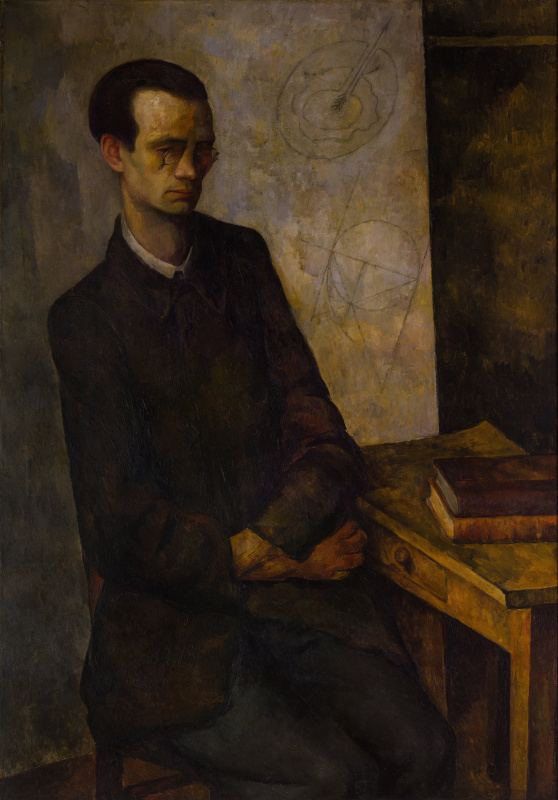 In 1933 Diego returned to Mexico and re-painted the Man at the Crossroads at the Palais des Beaux-Arts in Mexico City. 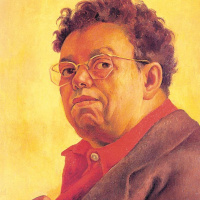 To put it mildly, Diego Rivera was not handsome: tall, massive, with googly eyes. He knew that he was not handsome and often depicted himself as a frog. However, the artist had never felt the lack of female attention. He was sensitive, attentive, incredibly charismatic and insanely passionate, besides, the cult of Machismo was totally alien to him. The women, who fell under his spell, were ready to do anything for him. He fell in love recklessly and at full strength, but always hurt his beloved ones. That’s why Rivera was friends with Picasso: not only love for art was glue that held them together, but also the attitude towards women. They were both jealous, but at the same time couldn’t be faithful to their wives. The first Diego’s wife, by the way, was Russian. He married the artist Angelina Beloff in 1911. Despite the great love, their mutual life can hardly be called happy. It was an endless series of quarrels, which sometimes ended with fights and scenes of jealousy ended with passionate reconciliation. Their son, just as Diego’s twin brother, died two years after he was born. But Angelina continued to love Rivera for the rest of her life, she wrote him letters and finally even moved to Mexico. The next Diego’s beloved was also a Russian artist. He was so enchanted by Maria Vorobieff-Stebelska, also known as Marevna, that he did not stop at anything to please her. All in all, she couldn’t resist his pressure. Their affair started when Rivera was still married to Angelina. Soon after the death of their son, Marevna gave birth to the artist’s daughter, Marika. These relations were filled with Africans passions and quarrels, but they finished rather soon. Rivera came back to his motherland, having left his beloved and daughter in Paris. A new love was not slow at coming: Diego married a writer and a model, Guadalupe Marín, with whom he had two daughters. What concerns scandals, the temperamental Mexican could give his former beloved a head start, and these scandals did not stop long after their break-up. And the reason for divorce was a very special woman, who became, in fact, the main woman in Diego’s life. Frida Kahlo was 20 years younger than him, she suffered much pain and Rivera admired her endurance and endless love for life during all of the time they spent together. However, the former scenario repeated itself again: betrayals, quarrels and frenzied jealousy. Onсe, they even divorced, but got married again next year and stayed together until Frida’s death (read more in our material "Love story in paintings: Frida Kahlo and Diego Rivera"). A year after Frida’s death, Diego married again. His chosen one was his agent and the owner of the art gallery Emma Hurtado, but their marriage did not last long. On 24 November 1957, Rivera, who had been suffering from cancer for several years, died of a heart attack.